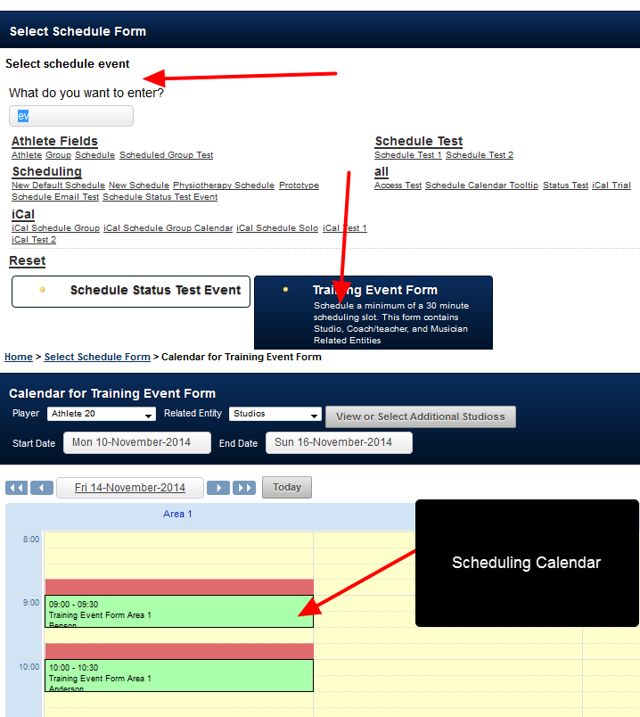 Scheduled and Appointment Events need to be entered via a special Scheduling calendar on the main Smartabase system. 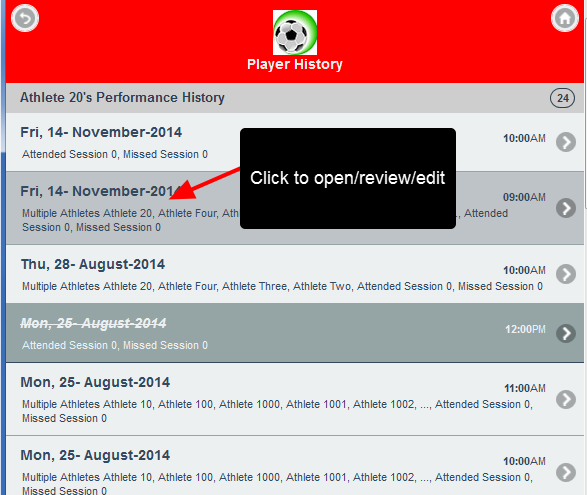 If a user has write permission to the form, the Appointments and Schedule forms can be opened, edited and saved. 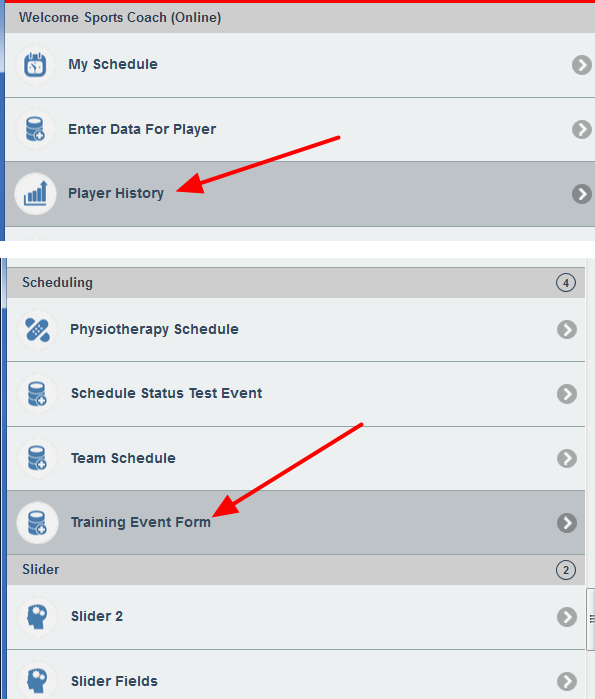 Again, if a user has write permission to the form, the Appointments and Schedule forms can be opened, edited and saved. N.B. 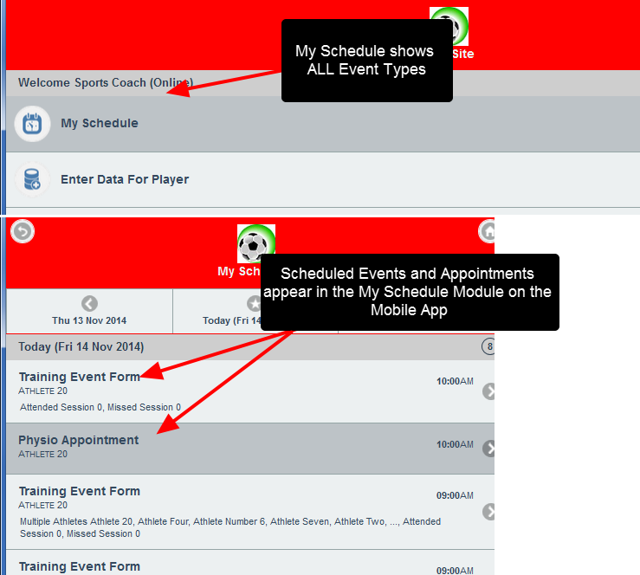 If appointments and training events are appearing on your main system and not on the mobile App, they may not be set up to be accessible on the mobile system. To minimise space on the Mobile Application, forms have to specially be enabled to appear. 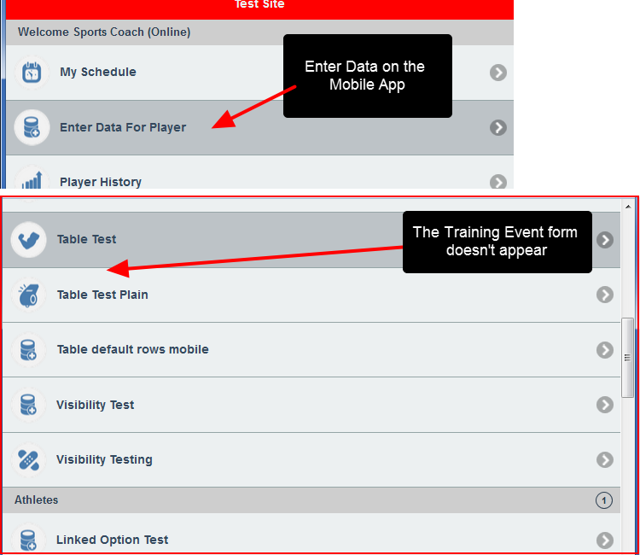 If you have events appearing on your main Smartabase application, but they do not appear on the Mobile App, these forms will not have been set up for Mobile entry. Only your system builder can set this up. Prev: Databases are now available. How to enter in a database field into an Event Form.